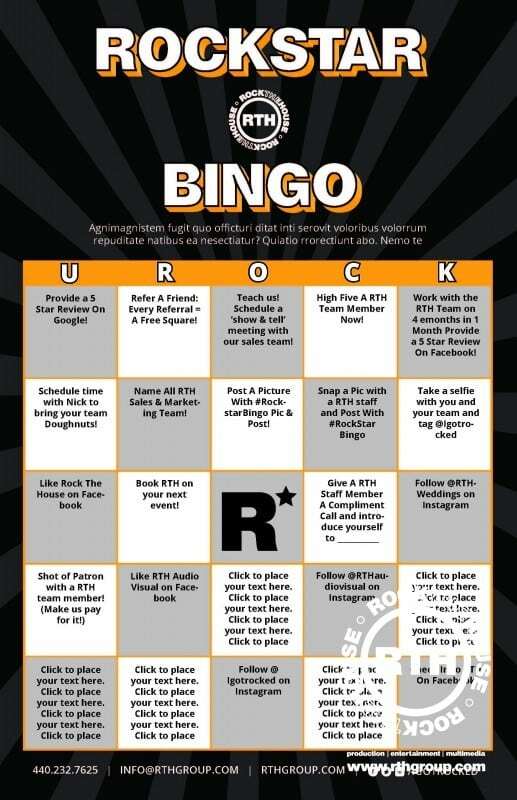 Rockstar Bingo cards are available from any of our Rockstar sales or marketing team! Each completed Rockstar Bingo square must be signed off by a Rock The House team member. Each Rockstar Bingo game will be played from January-March, April-June, July-September & October-December. A new Rockstar Bingo card with new challenges will be available during the beginning of each new game. Rockstar Bingo consists of a total of 25 squares, including one (1) FREE space. 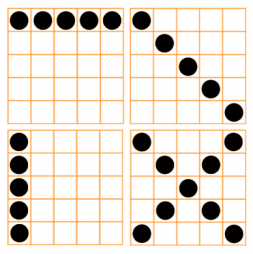 A “Rockstar Bingo” is achieved by 5 “Rockstar Bingo Squares” completed in a row within the three month gaming period.